I believe, in life - that the secret to being interesting is to be interested. And while the topics that interest me aren't shared by many, I cannot deny the excitement nor the fascination that today's post has inspired. 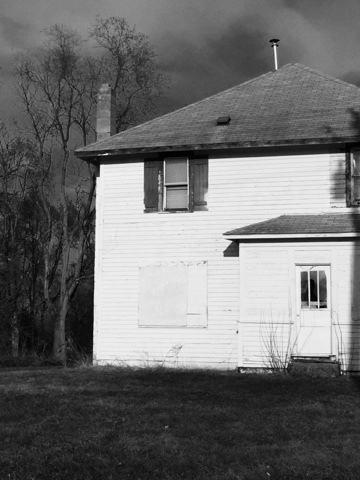 You may recall this post I wrote a couple of years ago, The Abandoned Farmhouse. 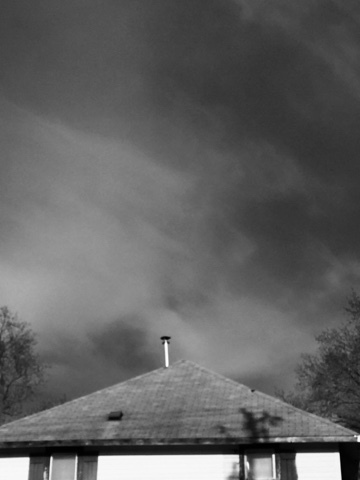 We had lived in that neighborhood for 5 years, and we could see the apex of its roofline from our living room window. We'd pass by each time we took the kids to school. 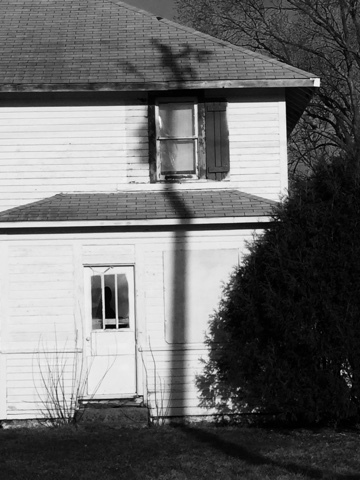 The house both creeped me out and intrigued me. To this day, that remains true. I couldn't figure it out. The lawn was always mowed, even though the shrubs were overgrown and in desperate need of a trim. The front of the house received a fresh coat of white paint, even though the other three sides were left to chip. Curtains remained hung in the upstairs windows, while the broken panes on the lower level were quickly boarded up. By who, and when, was an enduring mystery. With a 'No Trespassing' sign displayed prominently on the front door, I respected the boundary it established, though I paused often to ponder its story from the sidewalk. To the right of the house was an unpaved path. There was no driveway (that I could tell) and no garage - the farmhouse was old, stuck in an era that the rest of the neighborhood moved on from. I tried to uncover the property's history, but without knowing the house number, my attempts came up empty. We've since sold our house and moved across town. Then one day, as I passed the property to drop off my daughter at school, I saw a "For Sale" sign in the front yard. I was caught off guard by how excited that made me. As soon as I got to work, I went online to peruse the listing. I finally had an address. It was time to put the research skills I fostered in my time as a reporter to use, and see what I could turn up. The 2-story farmhouse has 3 bedrooms, 1 bath and is approximately 1500-square feet. It sits on 1.38 acres and was built in 1925. "... in need of love and attention," the listing described. 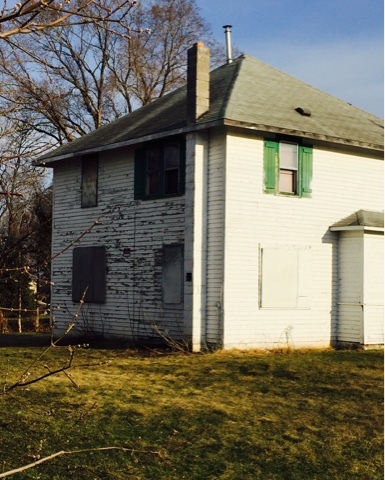 "Property has potential for teardown and lot split." NO. PLEASE DON'T TEAR THIS HOUSE DOWN. I hope Minneapolis' version of Joanna Gaines swoops in to save this historic property. "... will be sold as is." I want so badly to get inside. Everything about life back then was worse. Food was expensive, and the business of America was farming. 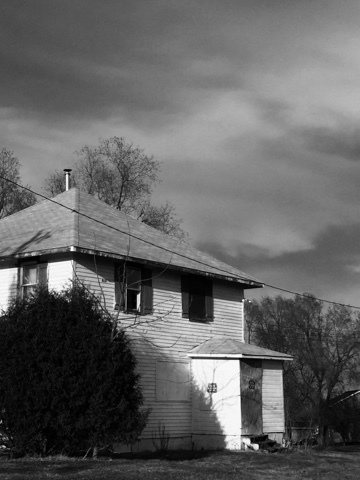 Half of America's families lived in rural areas or in towns with less than 2,500 people. Owning a home was rare, and often, multiple generations of a family lived under one roof. Even though home values were around $75,000 in today's dollars, a down payment of 50% was required. Plus, at the time of the farmhouse's construction, St. Paul's gangster era was in full swing. Then I read that if a home was over 50 years old, the likelihood that someone died in it was very high. Funerals were a private, family affair, often with the viewings held in the home's front room. 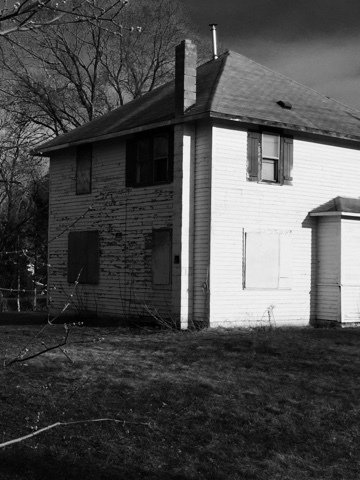 It was this thought, combined with the images I took of the vacant property, that would contribute to the creepy feeling I'd get as we'd approach the farmhouse. I discovered who the current owner is, and even though the documents are public record, I will not reveal the name for the sake of privacy. What I will state is the record of sales I found going back 10 years - in 1998 the property sold for $30,000 and in 2009, for $105,000. Was this intended to be an income property? Why else would the current owner hold on to it for so long? A clue that the property sat vacant for some time is in the low sale price from 1998. It makes me wonder how much of a time capsule the interior is, how many personal belongings remain inside and when it was last inhabited. I'm trying to work up the courage to ask the listing agent if I could enter. Meanwhile, I fear I've merely uncovered more questions than I have answers.